This is the world’s best list of UK Construction Awards and Architecture Awards. It includes all the most credible national construction awards such as The British Construction Industry Awards, The Building Awards, The Housing Innovation Awards and The Construction News Awards. You can find information about entering UK Architecture Awards like the RIBA Awards, AJ100 Awards and The AJ Retrofit Awards, as well as other UK Engineering Awards such as The Ground Engineering GE Awards. You can add industries and/or regions you are interested in by ticking the boxes down the left hand side and clicking ‘update search’. Please note: the “~” symbol means that the date is based on the previous year’s awards programme or is an estimate based on the information available. We can’t guarantee 100% accuracy (we try our best!) so always visit the individual awards’ websites for the latest information. Please select an Industry or Region to refine the search. Want to add an award to our list? It is completely free to be included and we can also offer additional packages to promote your awards. Click to add an award. Need help choosing which of these awards to enter? With 3,500+ awards it's not easy choosing which are both credible and winnable. 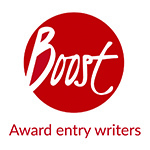 Let Boost Award's experts help you choose the right awards for your business. We've a range of services to suit all budgets. Contact us on +44 (0)1273 258703 or email info@boost-awards.co.uk to find out more.